8. Mount Sinai (Mount Horeb or Jebel Musa) The Lord revealed the Ten Commandments (Ex. 19-20). 9. Sinai Wilderness Israel constructed the tabernacle (Ex. 25-30). 13. 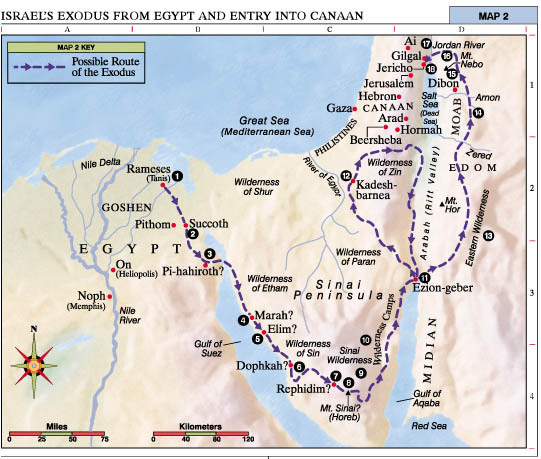 Eastern Wilderness Israel avoided conflict with Edom and Moab (Num. 20:14-21; 22-24). 15. Mount Nebo Moses viewed the promised land (Deut. 34:1-4). Moses delivered his last three sermons (Deut. 1-32). 17. Jordan River Israel crossed the Jordan River on dry ground. Near Gilgal, stones from the bottom of the Jordan River were placed as a monument of Jordan’s waters being divided (Josh. 3-5). 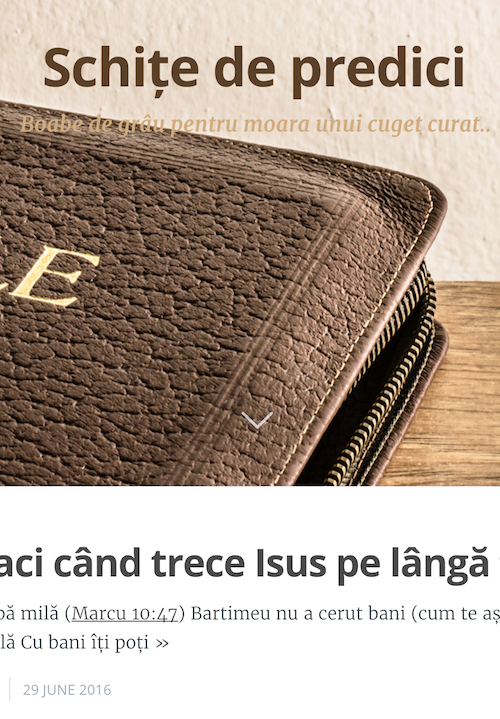 este buna harta.Si eu cind citesc in Biblie ,imi place sa am harta in fata ca sa pot intelege imprejurarile.